Since the day it opened in 1892, Denver's Brown Palace Hotel has been the Mile High City's foremost destination for high-powered business travelers, celebrities, royalty and politicians. In Ladies of the Brown, hotel historian and archivist Debra B. Faulkner introduces readers to some of the hotel's most fascinating and famous female visitors, residents and employees. From Denver's Unsinkable Molly Brown and Romania's Queen Marie to Zsa Zsa Gabor, Mamie Eisenhower and many, many more, these intriguing characters play leading roles in true tales of romance, scandal, humor and heartbreak. 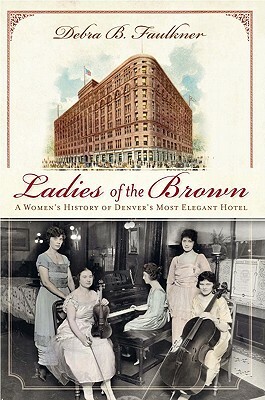 This collection of stories is integral to the history of the Brown Palace and Denver, offering a glimpse into the lives of generations of women from all walks of life.